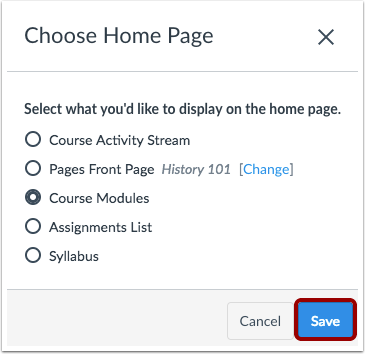 You can change your Course Home Page to reflect one of five layout options: the Recent Activity Dashboard, Pages Front Page, the Course Modules, the Assignment List, or the Syllabus. 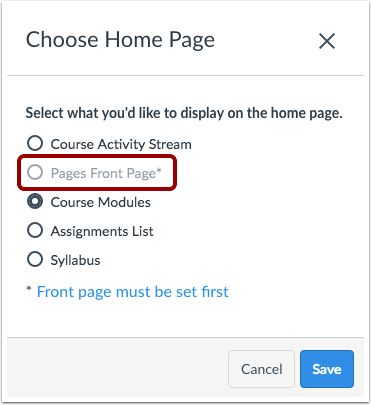 Note: You must set a Front Page before selecting the Pages Front Page option. Additionally, only Published pages can be set as the Front Page. In the Home Page sidebar, click the Choose Home Page button. Click the radio button next to the Home Page layout you prefer. If you want to select a Pages Front Page but the link is grayed out, you must first set a Front Page. Note: Only Published pages can be set as the Front Page. Make sure the page you want to set as the Front Page is published. 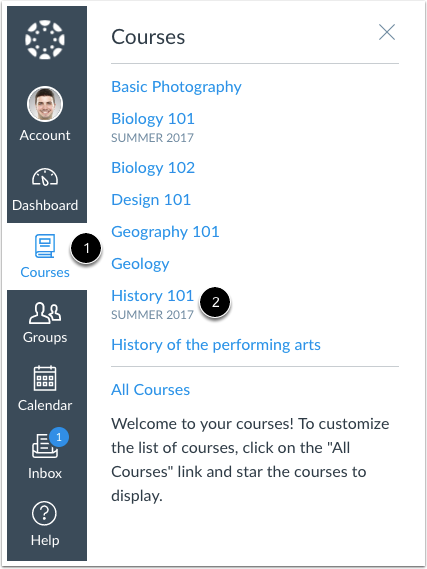 Previous Topic:What layout options are available in the Course Home Page as an instructor? 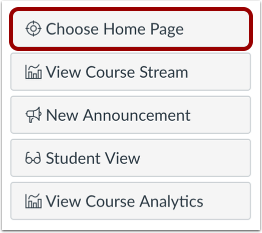 Next Topic:How do I use the Course Activity Stream as an instructor? 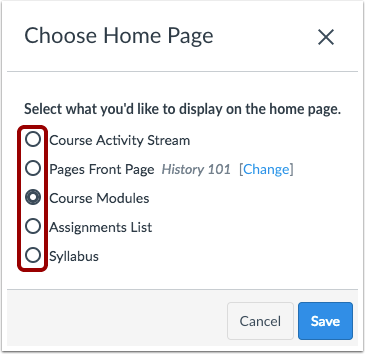 Table of Contents > Course Navigation > How do I change the Course Home Page? Re: How do you Set a new Home page?